Located in the heart of Lower Saxony and in the middle of the city triangle Bremen-Hamburg-Hannover, the city of Verden is adorned with the addition of "equestrian city". Every year, this concept is filled with life through supraregional, national and international equestrian events. We are a group-independent company that belongs to a strong corporate family - the Baumann Group. The basic requirement for long-term corporate success are satisfied customers as well as satisfied employees. Because only satisfied customers will like to work with us in the future and only satisfied employees are willing to provide the highest performance, which in turn is a prerequisite for high customer satisfaction. The gathering machines Sprinter are developed according to the modular principle. 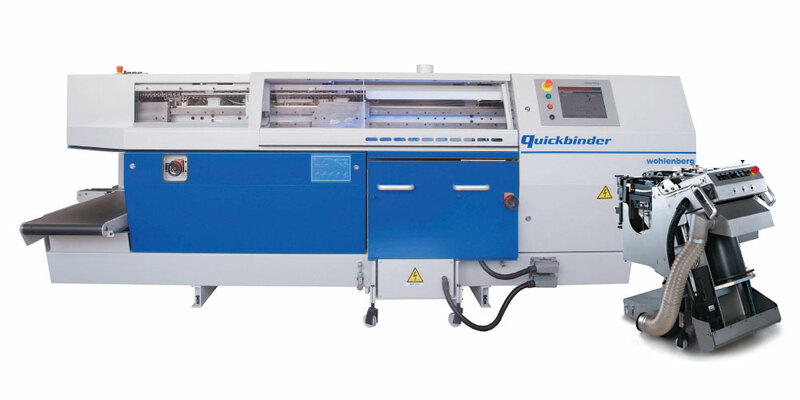 All elements can be individually put together and can be used as a single machine or inline with a perfect binder. The low construction, the clear structure and the new functional design are, considering the technical safety, an external expression of a modern mechanical engineering. 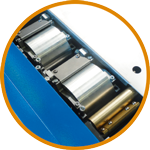 The perfect binders from Wohlenberg offer a unique variety in application technology. By the optional processing of hotmelt, dispersion and PUR (roller + nozzle) as well as the optimal processing of gauzing material, book blocks and brochures can be produced in one run. There are inline and offline machines in the portfolio of Wohlenberg. Depending on which requirements have to be met, significantly shorter set-up times and a high degree of automation can be used, or the choise of a offline solution with either continuous or return operation for a one- or two-man operation. With a constant availability of more than 25,000 spare parts in our spare parts stock, a worldwide supply of parts is guaranteed. State-of-the-art shuttle systems guarantee our customers fast delivery directly from our factory in Verden. With each sale of a new machine, the customer can also purchase a Wohlenberg installation if required and desired. Specially trained Wohlenberg service technicians accompany the new perfect binder from the beginning of the arrival of the machine at customers site. Our technicians take on site the complete installation, commissioning and application-technical training. Wohlenberg offers inspections on existing Wohlenberg perfect binding lines. This includes a corresponding spare parts recording on site, preparation of a spare part quotation in the factory and if ordered, carrying out work on the machine. Wohlenberg offers training courses on existing perfect binding lines directly at customers site. We also offer training in our showroom or in the final assembly. This training is carried out on the customer machine and traditionally shortly before delivery of the machine.